Minutes into FBI profiler Bryn Eastman's first case since a near-fatal shooting, a brazen serial killer sets his sights on her next. Now her life--and career--is in the hands of her new partner, Detective Eric Hale, the man she once loved and lost. Racked with nightmares of the shooting and regrets for the tragedy that tore her and Eric apart, Bryn doesn't want Eric to discover the secrets she carries--but she needs him. Seeing Bryn brings back memories Eric can't control. Memories of a once-in-a-lifetime love. But the tough detective knows their only path to a second chance goes straight through a relentless killer...one who won't quit until he counts Bryn as his fifth victim. 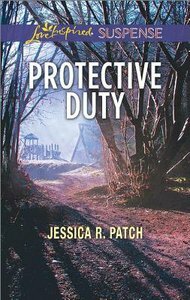 About "Protective Duty (Love Inspired Suspense Series)"